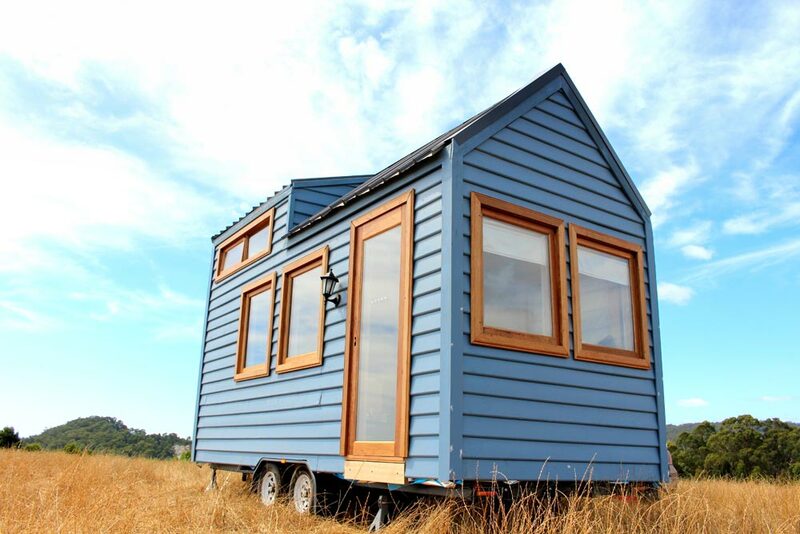 Built by Tasmanian-based Wagonhaus, the Colonial Blue is a beautiful blue tiny house with Meranti wood trim and front door. 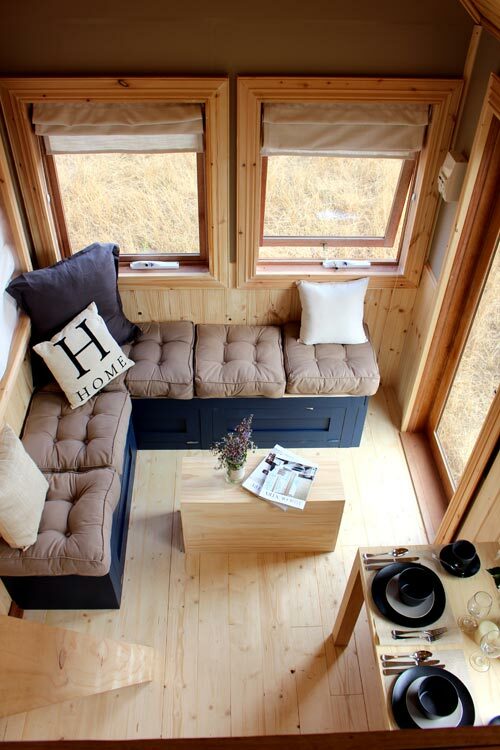 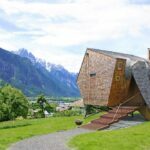 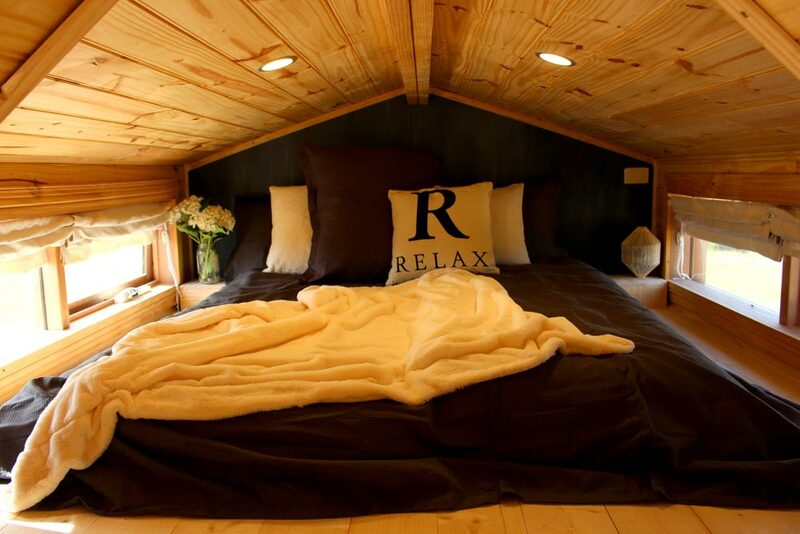 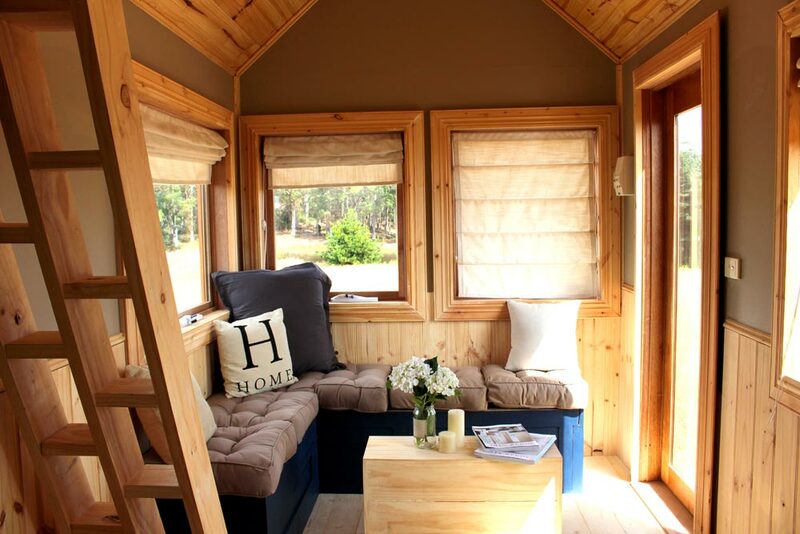 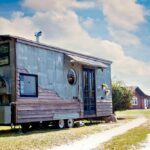 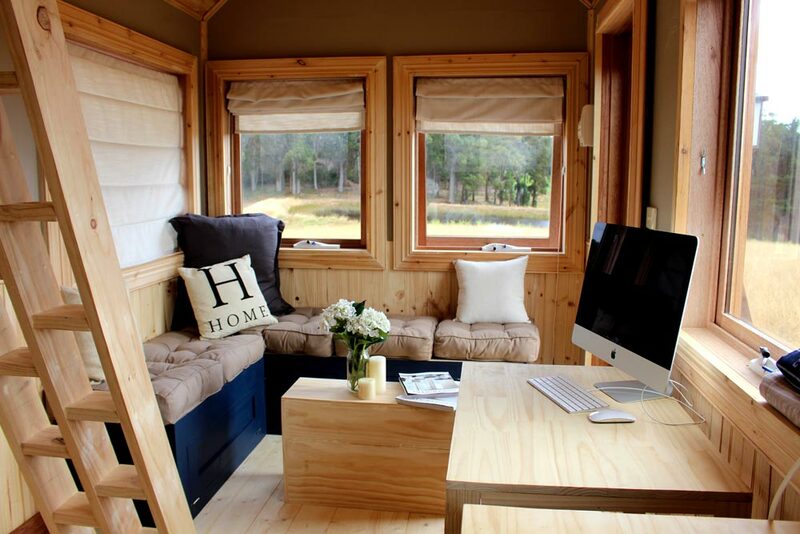 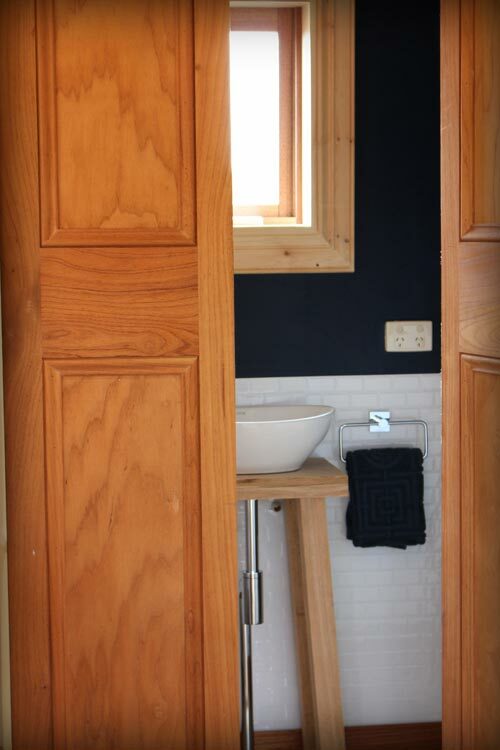 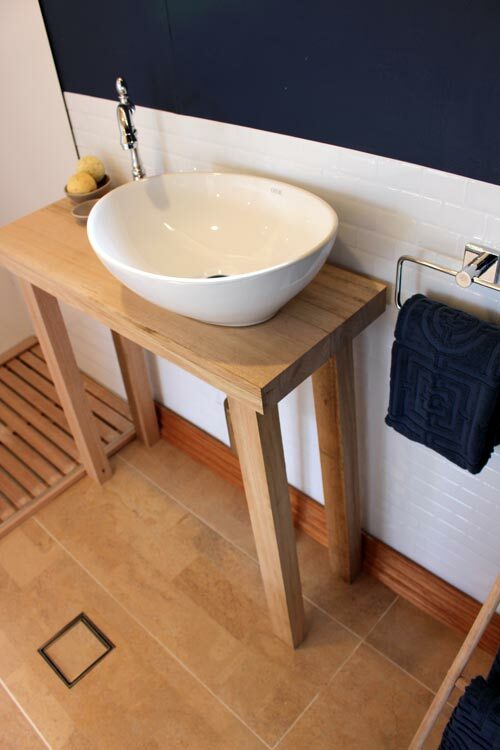 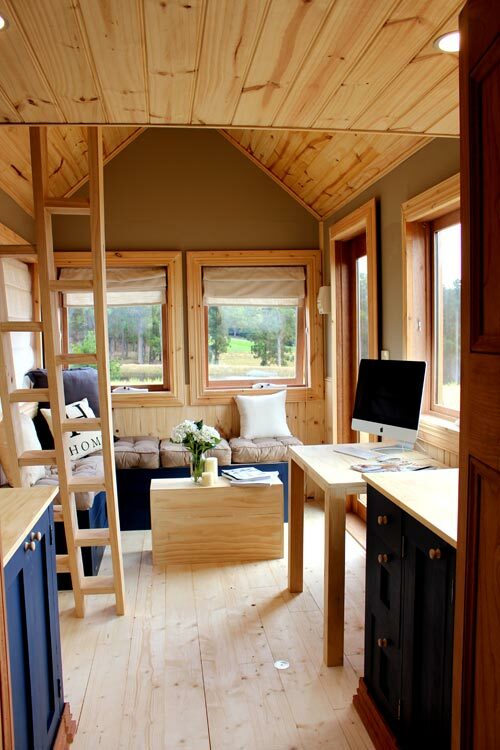 The tiny house is available as a nightly rental located on a small family-run organic farm located in Forth, Tasmania. 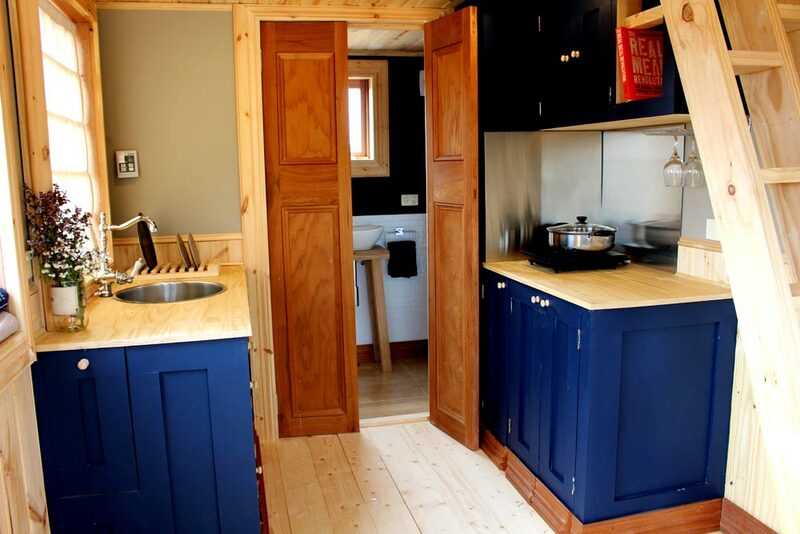 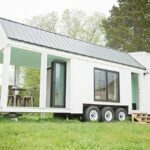 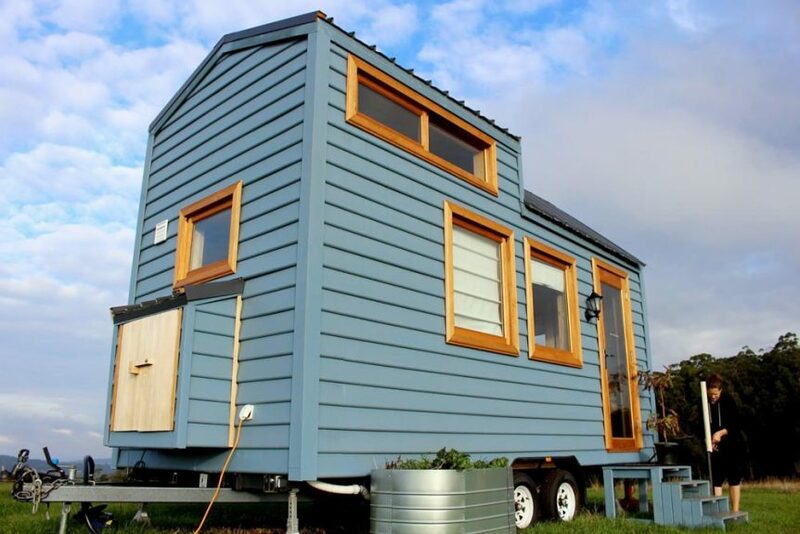 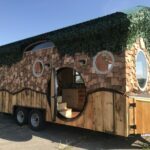 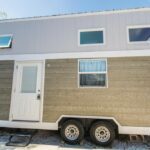 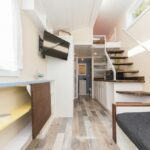 The Colonial Blue is an off-grid tiny home measuring 2.4m x 5.5m (approx 8’x18′) and comes with a living space, kitchen, full bathroom, and a bedroom loft with double bed. 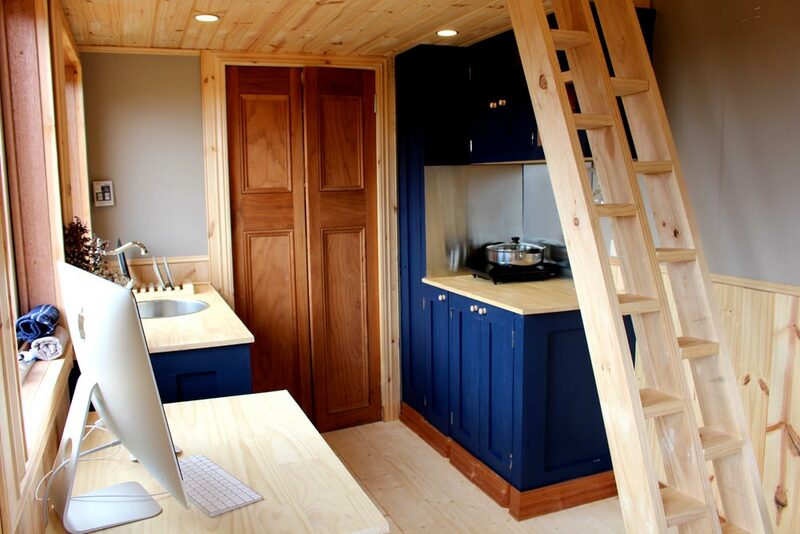 In the kitchen is a small oven, cooker, fridge, and kettle. 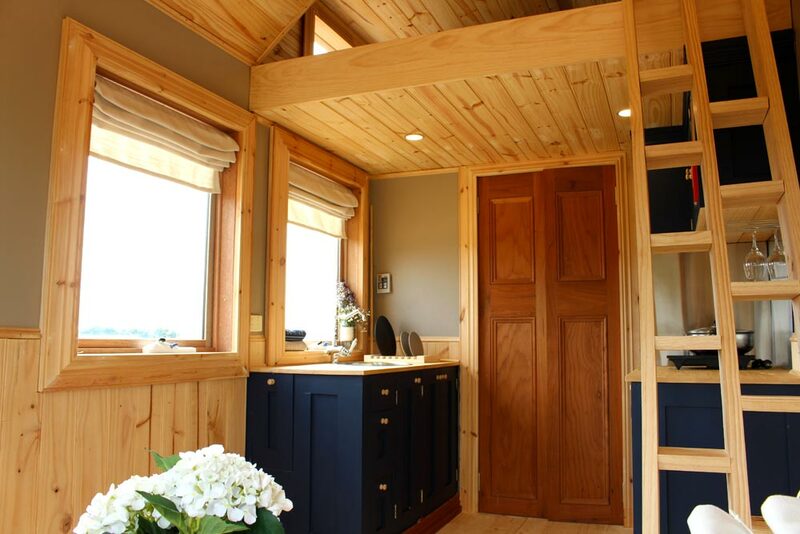 Large windows and a full light front door provide a spectacular view of the farm’s rolling green hills. 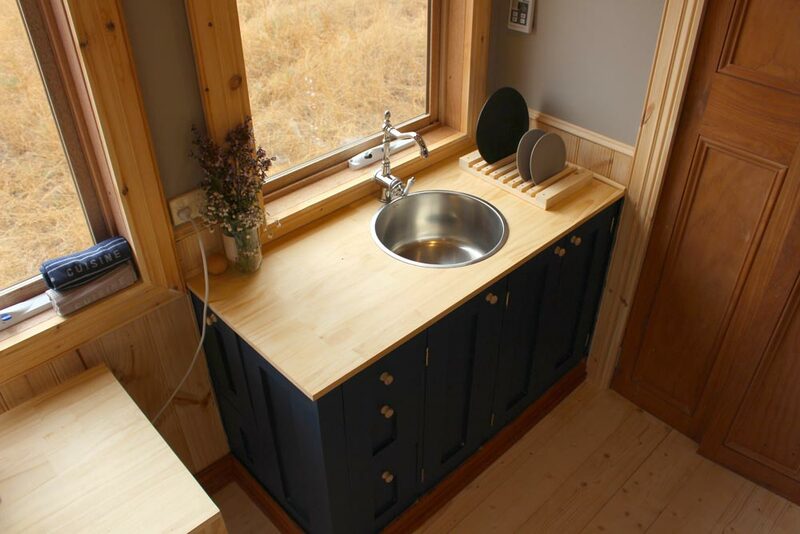 Also available from Wagonhaus: Tiny Monument.